Discover the distinctive flavors of the Suisun Valley AVA. The Suisun Valley in Solano County is one of the wine country's best-kept secrets. Although the area’s winemaking tradition dates back to the late 1800s, planting began to expand steadily only during the last 20 years and surged during the 1990s. When large corporate wineries in Napa and Sonoma wanted grapes for the three hottest varietals — cabernet sauvignon, chardonnay, and merlot — Suisun Valley growers were among their preferred suppliers. Today, just about every variety of wine-grape is being grown here. More importantly, Suisun Valley wineries are earning a reputation of their own; growing, producing, and selling premium, award-winning wines. Suisun Valley lies within the ultra-premium growing area known as the California North Coast … which includes Napa, Sonoma, and Mendocino counties. The Valley gained official recognition as an American Viticulture Area in 1982, just a year after Napa Valley. Approximately 3000 acres of the Suisun Valley are dedicated to grapes. 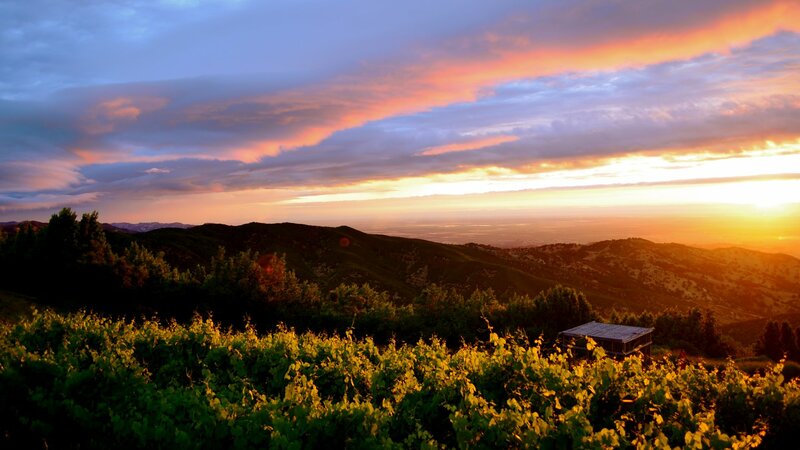 Learn more about the Suisun Valley wine region. La Borgata Winery and Distillery is a family-owned Italian winery located in Vacaville. Open Daily 10 a.m to 5 p.m.
Open year-round; Sun-Sat 10 a.m. to 5 p.m.